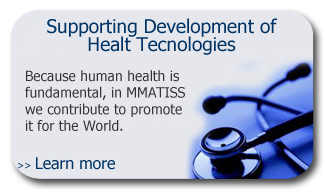 Over the years, Latin American CRO MMATISS has supported customers by undertaking projects which because of particular eventualities show a development different from the one that would be desirable. 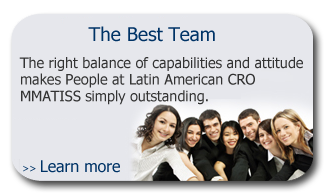 The experience and knowledge of Latin American CRO MMATISS translates into ability to handle efficiently the transference of your project. Also, our highly trained staff counts with the skills and knowledge to carry out the analysis and assessments required to identify risks during the transference and the development of the project; from a clinical, regulatory and administrative perspective; in order to establish, propose and implement control measures that will ensure the achievement of the goals of the customer. 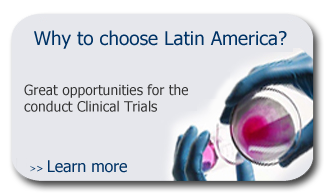 You’re invited to make use of the abilities of Latin American CRO MMATISS to help you restore the progress of your clinical project. If you require success ………………………………. you require expertise.